Transportation planning news delivered right to your inbox! 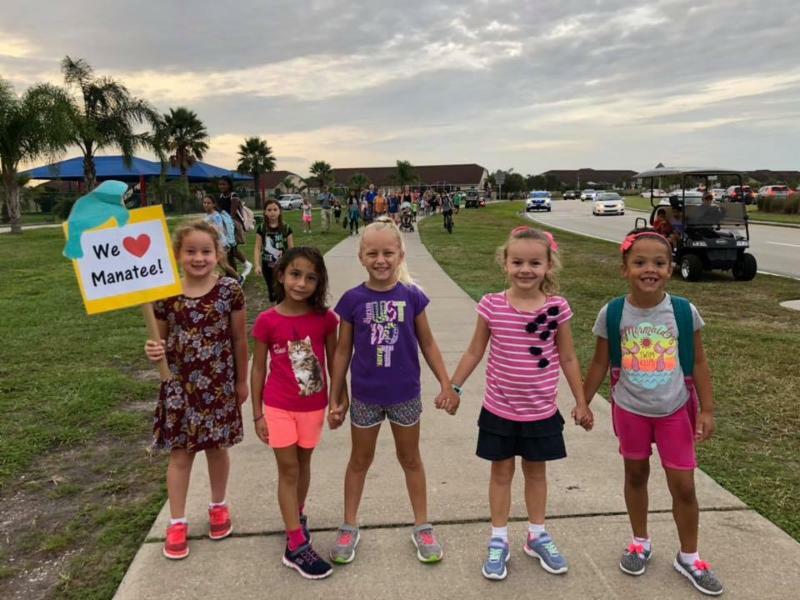 On Wednesday, October 10 th , school children throughout Brevard County joined thousands across the world in celebrating International Walk to School Day. 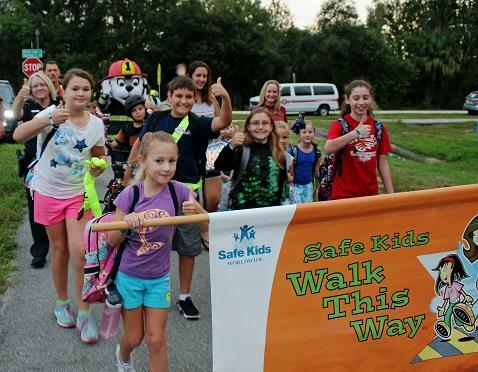 Brevard Public Schools and the Space Coast TPO have partnered together to participate in the International Walk to School Day for 19 years. 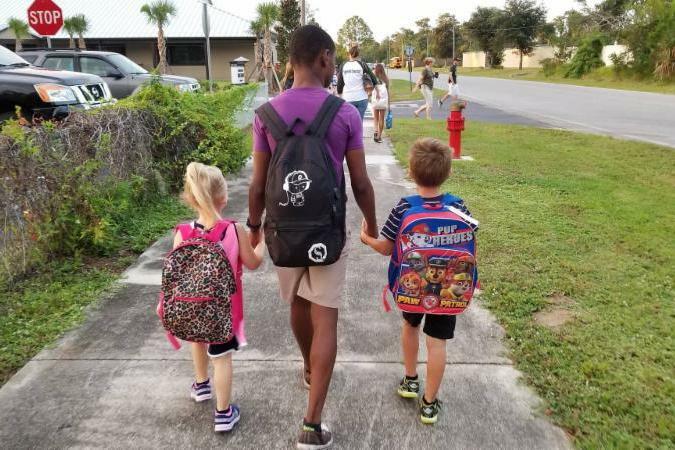 This year, students from over 46 different Brevard schools participated in events alongside their peers, parents, teachers and other school community members. Below are a few snapshots from different schools highlighting their activities. entrances and exit ramps will help relieve traffic congestion at the adjacent interchanges. It will align with Ellis Road on the east and connect to a regional roadway network, the St John's Heritage Parkway, on the west later next year. I-95 northbound and southbound single lane closures may occur between 7:00 and 4:00 p.m.
I-95 northbound and southbound double lane closures may occur between 9:30 p.m. and 5 a.m.
John Rodes Boulevard northbound and southbound single lane closures may occur between 7:00 and 4:00 p.m.
Ellis Road eastbound and westbound lane closures may occur between 7:00 and 4:00 p.m. 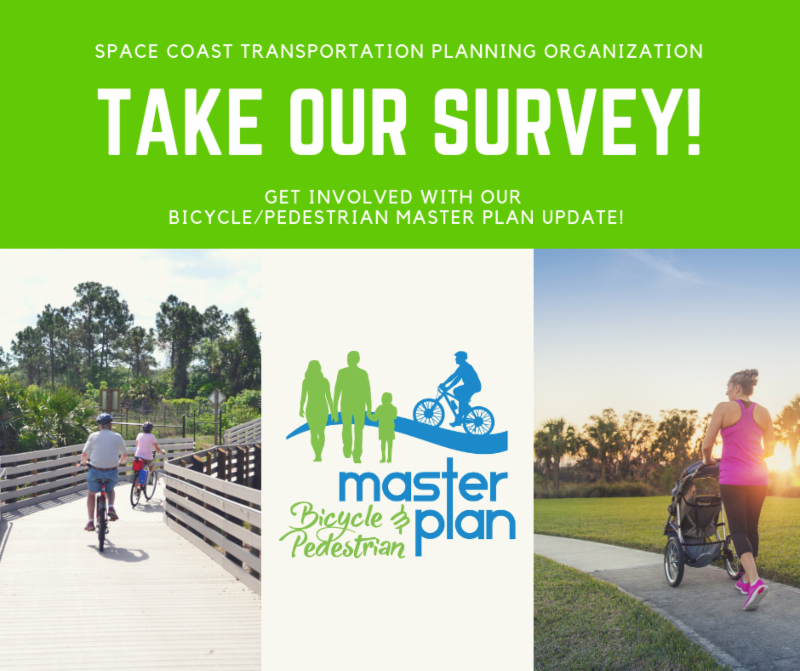 The Space Coast Transportation Planning Organization (SCTPO) is currently in the process of developing the 2018 Bicycle and Pedestrian Master Plan (BPMP). ﻿The purpose of this plan is to create a connected system of bicycling and pedestrian facilities that serve the needs of Brevard County’s residents and visitors. Help us understand the bicycle, pedestrian, and trail needs of our county. Access the survey here or click the image on the right. 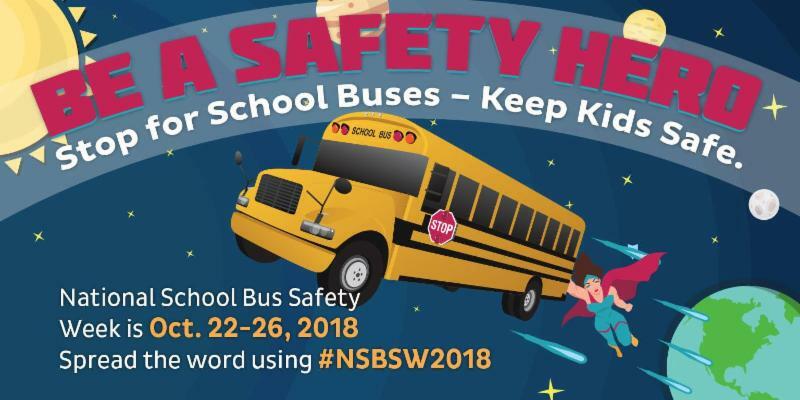 The SCTPO would like to encourage agencies to consider if your community is in need of creating safer conditions for students to walk and bike to school. 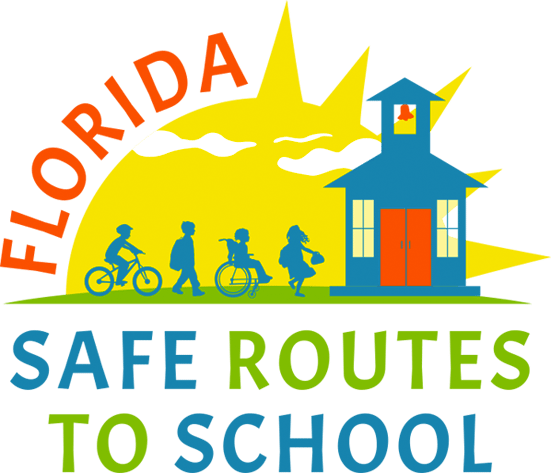 Safe Routes to School projects could include crosswalk markings, ADA sidewalk ramps, filling in of sidewalk gaps, bike racks, and more! The TPO is an available resource to you throughout the application process. We're available to help in gathering information and to meet as needed. We want the applications to be as successful as possible. There is the possibility of “bundling” several small projects during implementation. If more than one application is submitted, please rank them in priority order (limit 5 applications per maintaining agency). To be eligible, municipalities must have attended a workshop in 2017 or 2018. If you are interested in presenting your project(s) to the SCTPO Bicycle/Pedestrian/Trails Advisory Committee as part of your community buy-in and engagement for the application, we are holding a slot for the December 3 rd meeting. Please respond to Sarah Kraum, Multimodal Program Specialist, by November 3 rd if you are interested: sarah.kraum@brevardfl.gov . 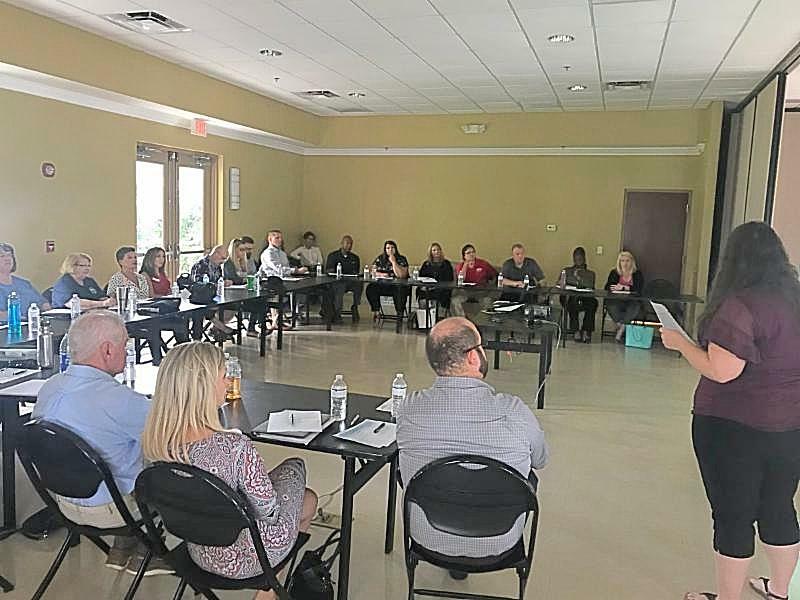 Photo Feature : The East Central Florida Regional Planning Council and the Tampa Bay Regional Planning Council held a joint #Coast2Coast meeting, sponsored by Lake County and the City of Clermont on September 25, 2018. R epresentation from the entire corridor and multiple stakeholders discussed trail progress, economic development and more. Event Spotlight : What moves you and how do you get from here, to there? 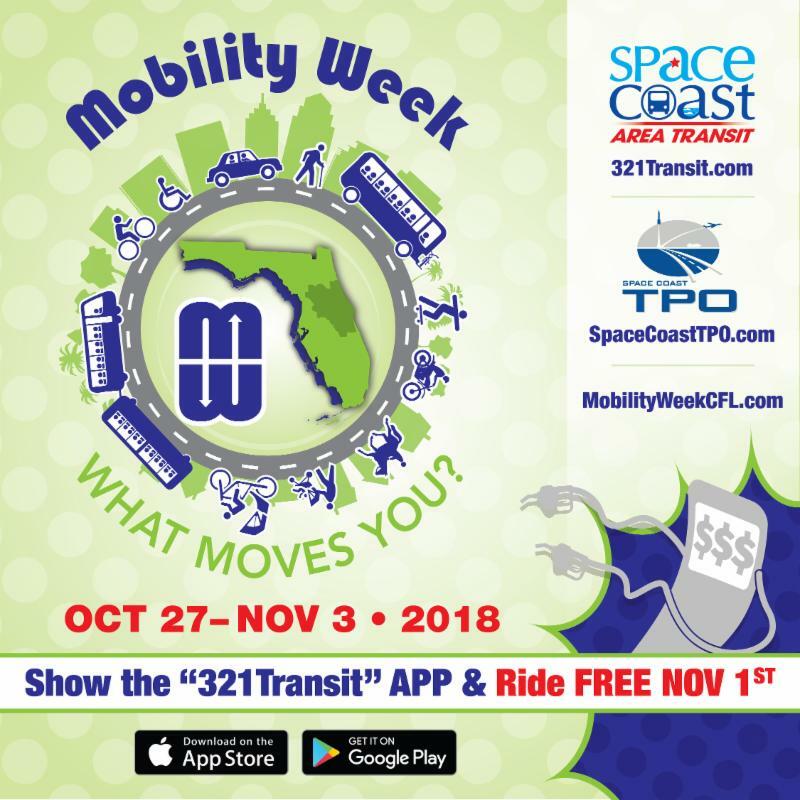 The Space Coast TPO , Space Coast Area Transit and the Florida Department of Transportation (FDOT) are set to celebrate the third annual Mobility Week, from October 27 to November 3, 2018 . Mobility Week initiative is a grassroots effort to promote awareness of safe and sustainable transportation choices and how those choices can build stronger communities, reduce traffic congestion and improve community health. Route 2: The times for this route have changed to reflect the starting point from Titus Landing. Route 3: Will travel the Courtenay Palms Loop in the opposite direction (northbound). The time point is on Skylark Ave at :58 after the hour. 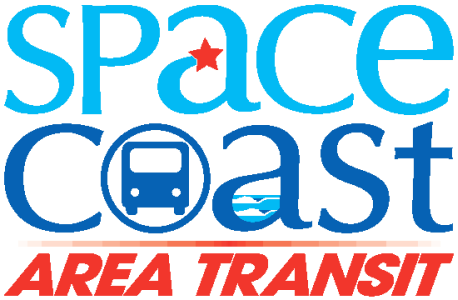 Space Coast Area Transit will no longer service the stop southbound. 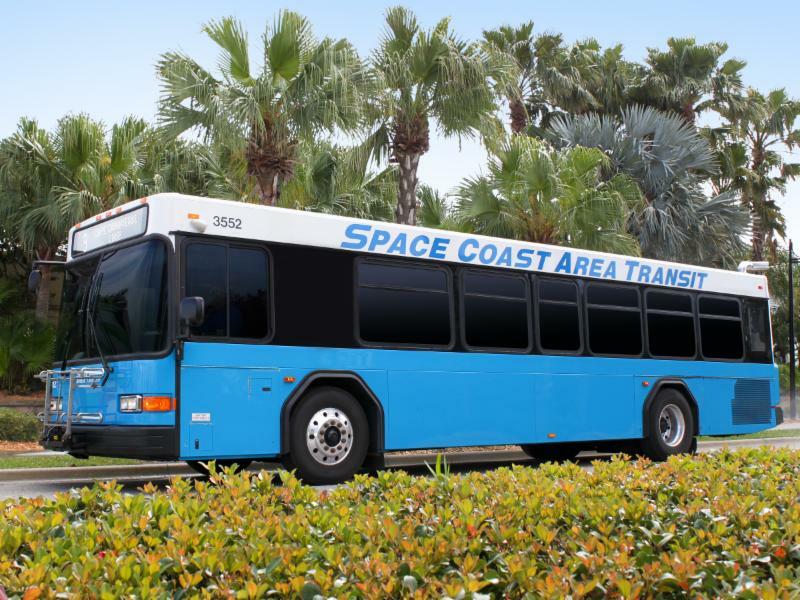 Route 5: The times for this route have changed to reflect the starting point from Titus Landing and has added service to the Cape Canaveral National Cemetery. Route 6: The Rockledge Loop will now service the Cocoa City Hall bus stop at 6:38 a.m.
Route 21B: Monday - Friday Route 21B now starts one hour later at Trinity Towers South at 9:45 a.m. It runs one hour later and ends at the Melbourne Library at 5:52 p.m.
Route 24: Route 24 no longer goes down Sarno Rd. westbound from the mall. The bus goes straight on Apollo Ave., turns left on Eau Gallie Blvd. to Eau Gallie High School, and right on Wickham Rd. back on its current route. It services Sarno Rd. eastbound towards the mall. Route 25B: Monday - Friday Route 25B now starts one hour later at the Melbourne Square Mall at 10:25 a.m. It ends an hour later at Sears at 6:37 p.m. This route no longer services Florida Ave. It continues down Babcock St. and turns right onto Eber Blvd., then back on its current route, left on to Dairy Rd. Route 28B: Monday - Friday Route 28B now starts one hour later at the Melbourne Square Mall at 10:25 a.m. This route now ends an hour later at Melbourne Square Mall at 6:25 p.m. Please check the new schedule for times or visit 321Transit.com . If you have any questions, please call 321-633-1878. 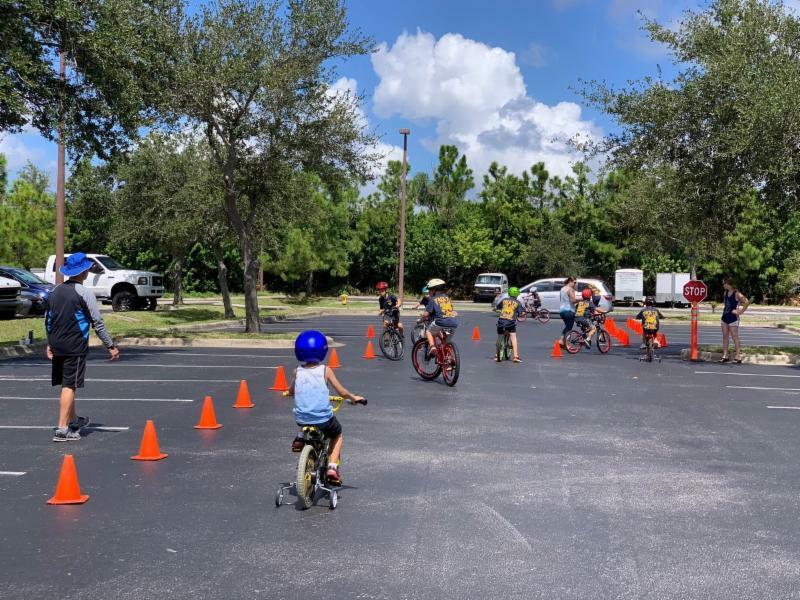 Photo Feature : Education and Safety Coordinator, Kim Smith, helps host a bicycle safety rodeo for Cub Scout Pack 720 in Viera. Many parents supported the event as helpers and volunteers. 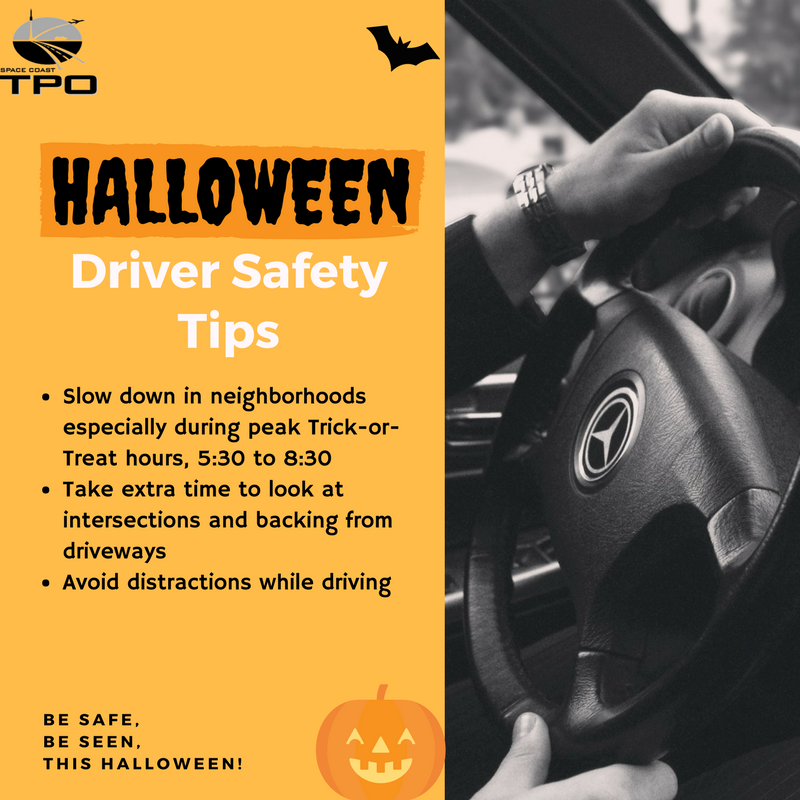 Social Media Feature : Next week we'll kick off the Halloween season with some key motorist/pedestrian safety messages. 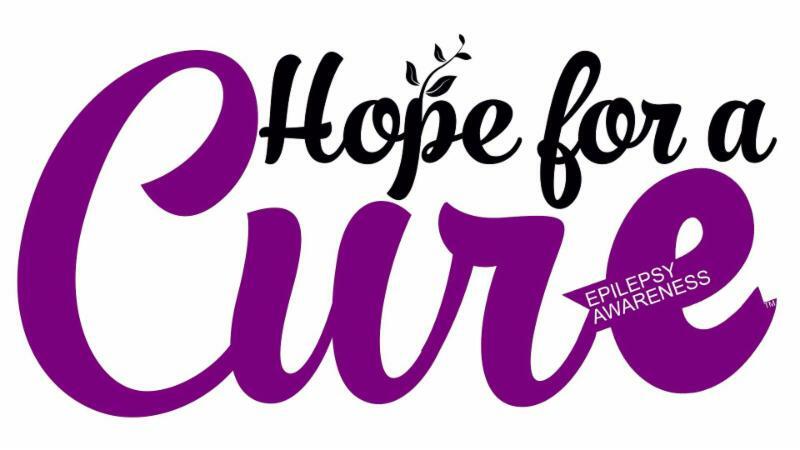 Stay tuned to our social media outlets! Title VI/Non-discrimination : For questions regarding our civil rights adherence policies, please contact Abby Hemenway, Title VI Coordinator, at abby.hemenway@brevardfl.gov or call 321-690-6890.